*** PRICE REDUCTION *** Welcome to a beautiful home with wrap around veranda situated on a over sized SOUTH FACING CORNER LOT at a quite street in Lake Chaparral. Fully finished offering you 4 large bedrooms, 3.5 baths. Main level is a convenient open floor plan with 9 ft knockdown ceilings, FIREPLACE, hardwood floors, LARGE kitchen with SS appliances. 3 bedrooms upstairs (one which can easily be converted to a wonderful bonus room!) The master bedroom features a spa-like ENSUITE with a deep soaker tub and separate walk-in shower. Finished basement includes a spacious rec room, additional bedroom and bathroom, (also lots of storage space!). Excellent location with easy walking distance to the LAKE and SCHOOL. 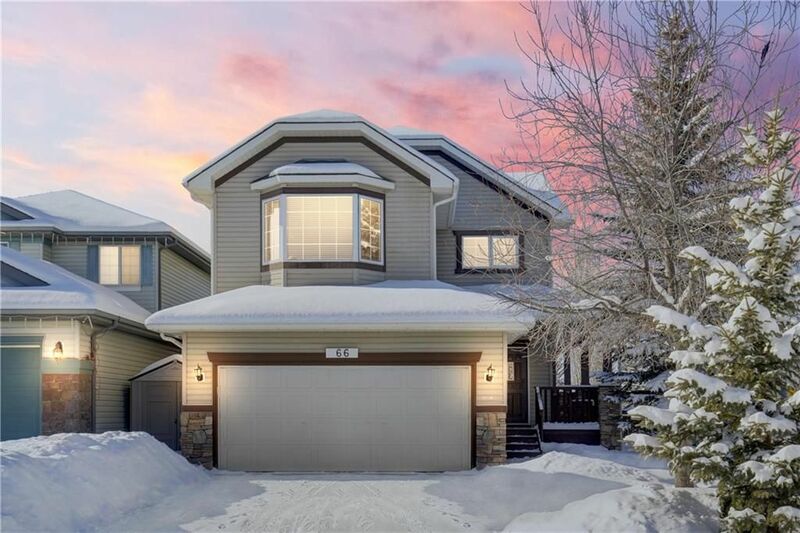 When your not spending time at the lake, enjoy sunny afternoons in your West facing fully landscaped backyard, complete with a gas bbq hookup and a stamped concrete patio leading you to a stunning private Pergola. This is the PERFECT family home.